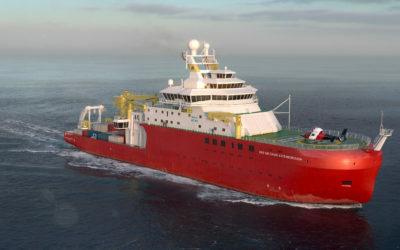 The laboratory and workshop facilities on board the RRS Sir David Attenborough are key components of the ship’s design. 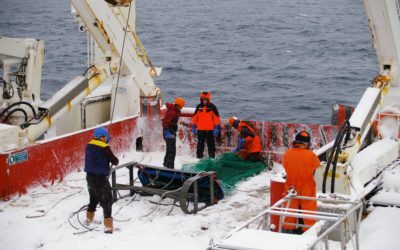 They are essential for conducting science on board a polar research vessel. 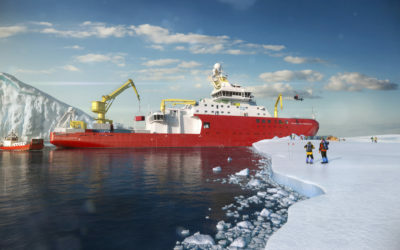 The RRS Sir David Attenborough will have over 750 m² of built-in laboratory space on board, a significant increase over the space available on RRS James Clark Ross. 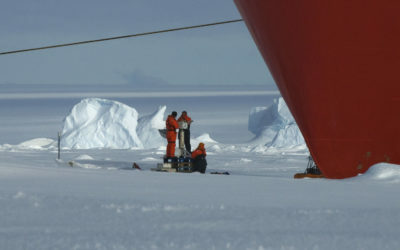 In addition, the ship is designed to have space for at least 10 scientific containers – standard 20ft ISO containers adapted to support science. Two of which can be placed indoors in the hangar, and two can open directly into the wet lab.  Multifunctional facilities include ‘wet’ labs, ‘dry’ labs and ‘temperature controlled’ cold labs for biological, chemical and physical analysis, and a number of specialist laboratories for trace metal chemistry, atmospheric and sea water analysis. There will also be a scientific walk-in -20°C freezer and several -80°C ultra low temperature freezer units. Purpose-built containerised facilities include multi-sensor core logging system, seismic compressor container, radionuclide and ultraclean laboratories, and an aquarium. The reconfigurable space and containerised laboratories create a new level of flexibility in science support. These innovative solutions will ensure we meet the changing needs of science over the lifetime of the vessel, as technologies and techniques evolve. Inertial Navigation Unit outputting position, heading, roll, pitch, depth, velocity and heave.